The most renowned archeological site in the state, the Aztalan Visitor’s Center was occupied by Native Americans 800-900 years ago, and represents the home of a complex ancient society called Middle Mississippian. Aztalan is the northern outpost of a series of settlements identifiable because of earthen pyramids and stockades built for those communities. 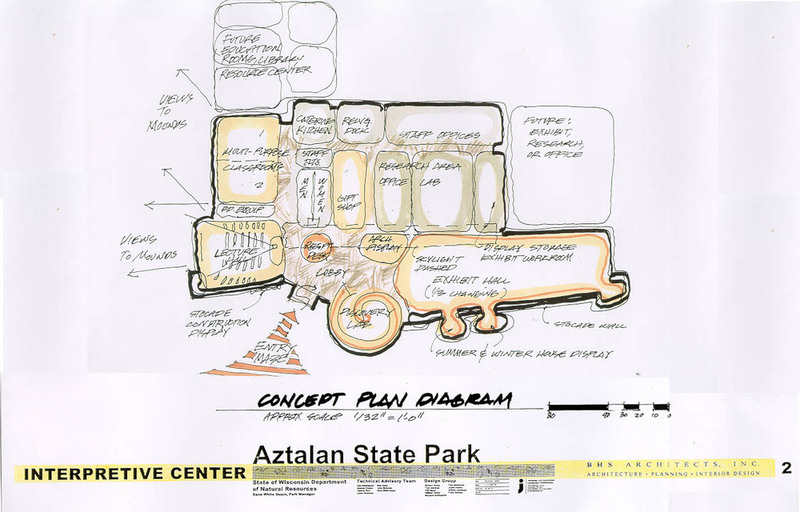 With a Master Plan for the site, interpretive exhibits of both historic and contemporary Native American Culture will give visitors a better understanding of the significance of this culture. The four phase plan envisions new park entrances, improved interpretive trails, and a visitor’s building which will also serve as a research center for the ongoing archeology.